This entry was posted in Wordless Wednesdays and tagged Sentosa, Singapore. Bookmark the permalink. Your pics brought back fond memories. 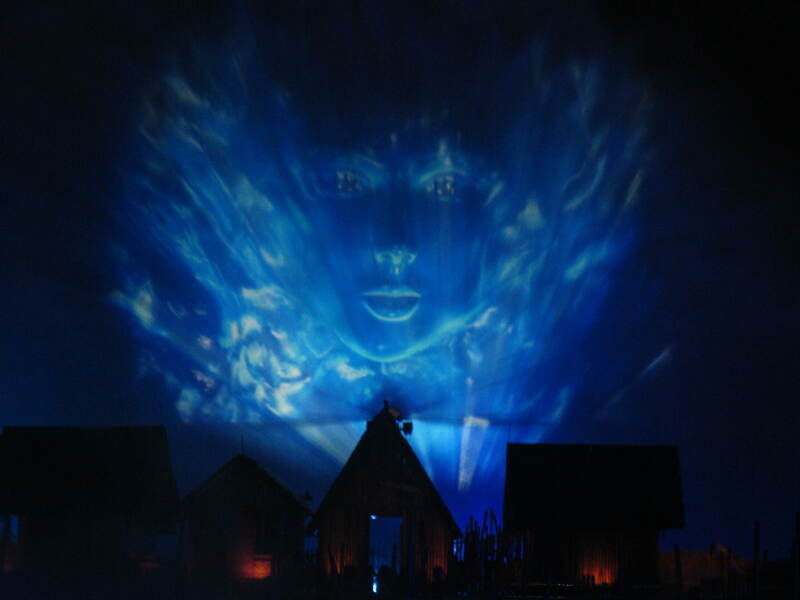 Thanks !.I love the songs of the sea show,but isnt it time they put something else up too? It’s been on for years now. Wow! Those are some of your best shots ever, I think. 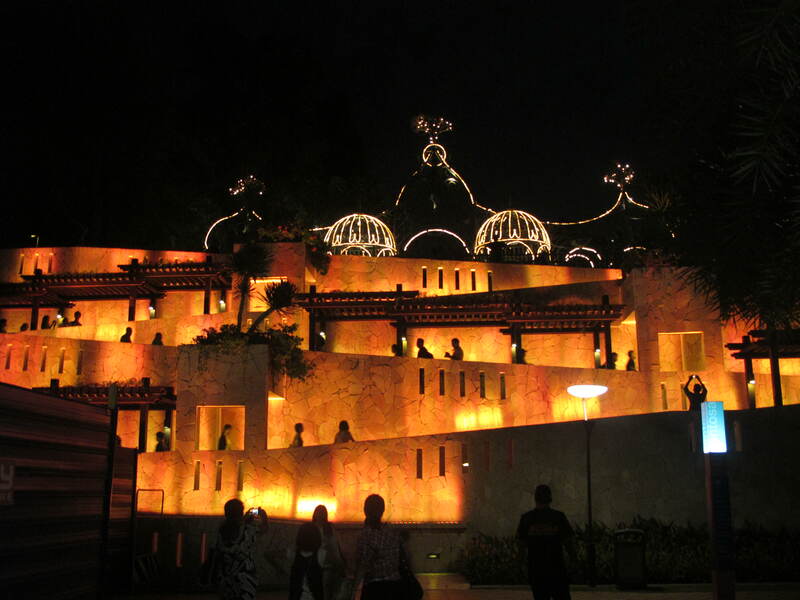 There is great atmosphere in the picture of Sentosa. 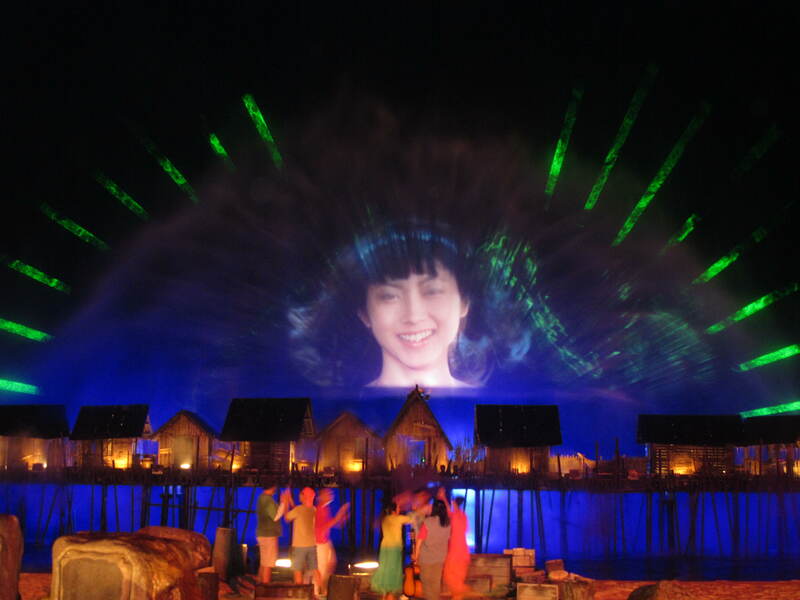 I have seen a similar show in the US, where images are projected on water sprays, they are so effective, unless you are sat right in the front row on a windy night, of course! Wow, that show looks amazing! What an awesome show! Great pictures! Oh my goodness, that building looks so beautiful all lit up like that! Super series. I would love to visit Singapore some day. Oh it’s SO gorgeous! Those lights! Wow. Stunning photos! I especially like the top, Sentosa.